​Our team is what some would call ridiculously experienced. 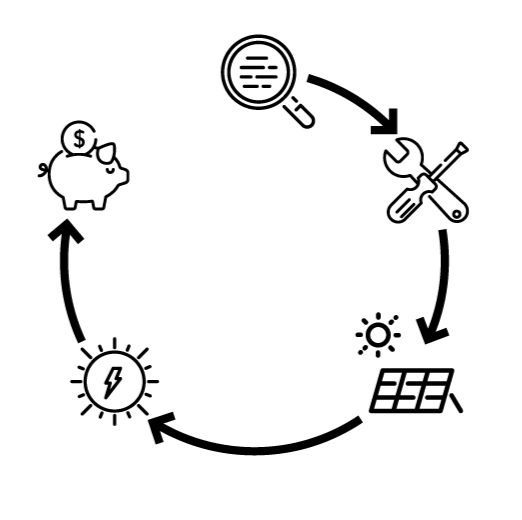 ​Being on the ​cutting edge of the solar industry in its infancy meant that we've learned a ton through the years. We employ a diverse team of engineers, installation professionals and solar consultants that have worked on hundreds of homes. Treating those team members with dignity and respect has meant that we've kept their accumulated knowledge in-house. ​Be it our executive team, or ​experienced electricians in the field, all of this experience means one thing. Our customers trust us, love working with us, and become part of the Renovus family. ​Renovus employs over 50 people all focused on providing excellent experiences to our customers, and getting them what they need when they need it. In order to make sure you get connected to the right team member, its best to start at the center. Fill out the form below and your information will be sent to a few key team members who will help you find what you need. We'll follow up within one business day and make sure you're taken care of. More of a phone person? We hear that. Our team is growing, and we're always looking for customer-focused and talented individuals to help us take the company to the next level. If you're interested in joining our team, head over to our "join our team" page and submit an application. We look forward to meeting you.